You Want a New Dog - Do You Shop or Adopt? You’ve done it. You’ve made the decision to add a furry four-legged love into your family. An adorable furball with a wet nose and wagging tail, who will bring you so much joy and be there for you when you get home from work. To live with, and to love, ‘til death do you part. Now comes the next big decision… where do you get your new friend from? Do you go to the shelter down the street? Or how about the local rescue group? But your friend got her dog from a breeder and she says he’s absolutely perfect. How do you choose? Now that you’ve got that handled and you’ve done your research about different breeds, you are ready to acquire your new best friend. So do you shop or do you adopt? If you have specific concerns about what kind of dog you acquire (for example, if someone in your family is allergic and you are looking for a dog that has the greatest chance of being “hypoallergenic”), your best bet may be to acquire your new friend through a breeder, where it can be guaranteed what breed of dog you are getting. (Though it must be said, there ARE rescue organizations out there who specialize in specific breeds – PLEASE research if there are any that work with the breed you are considering.) Or maybe you want to go through a breeder because you know other people who have and they had a great experience – maybe you’d even like a dog from their breeding line. If after doing your breed research you have decided to go through a breeder, the next step is to select a reputable breeder. How do you know if a breeder is reputable? Check breed organizations for a registered member list. These organizations can be blanket organizations, like the American Kennel Club, or breed-specific, like the Pembroke Welsh Corgi Club of America, for example. Breeders who join these clubs are held to a level of ethics and experience so they tend to know what they are doing. Do either of the parents of the pups available live on premises? And could I meet them upon my visit? If you can meet the parents and get to know their temperaments a bit, it will give you a glimpse into the possible temperament of your new pup, since usually the apples don’t fall far from the tree. Can I see a pedigree? This will be important to ensure there is no inbreeding in the breeder’s line, which could result in health and mental concerns. What do you do for socialization of young puppies to other people, noises, novel objects, etc? What kind of temperament testing do you do and at what age? The earlier your breeder provides a puppy with positive exposure to these kinds of life experiences, usually the more confident the puppy will be (if the socialization is done correctly). At what age are the pups available for adoption? Many of the breed organizations have age requirements, like 8 weeks or 10 weeks. Be leery of any breeder who is willing to pull puppies from their moms or littermates at too young of an age. Developmentally, this shouldn’t happen any sooner than 7 weeks. Can I see a veterinary care record for my potential pup, showing deworming treatments, first vaccines, and stool sample results? What kind, if any, of additional medical testing do you provide for the pups? The first is a common courtesy which proves the pups have been receiving veterinary care; it’s also a necessity for the new vet who will be taking over your new pup’s vet care once a pup comes home with you. The second includes additional testing for some medical conditions that certain breeds are more genetically susceptible to. For example, because Pembroke Welsh Corgis are susceptible to displaying von Willebrand’s Disease, which is a genetic blood disorder, a reputable breeder will test each pup for this before the pups are eligible for adoption. 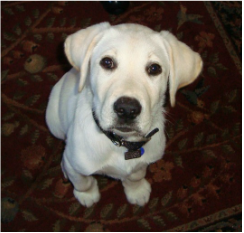 What kind of health and temperament guarantee do you provide on the pup? For example, if the pup shows human aggression or develops epilepsy at 6 months of age, will the breeder provide additional support, or take him back and give you another? If you must re-home the dog for any reason, will the breeder help you find him another home? If the breeder you speak with can’t answer these questions, then they may not be the best place to get your new furry friend. If you are investing time and money to this process, you want to know your new pup is coming from a good place that also invests in their pups, their health (both mental and physical) and their future success. A good breeder may also interview you a bit in return to see if they feel you are a good fit for one of their babies. Many good breeders care about their pups like their own children and want to know they are going to good homes! If the breeder you speak with can answer these questions and feels good to you, the next step is to schedule a visit to meet the available puppies. Hopefully you can meet the parents while you are on premises as well, but even if you can’t, it’s a good idea to spend a few minutes observing all of the available puppies together, and then taking each puppy separately and getting to know him for a few minutes when he is separate from the group. Watch for confidence, friendliness and willingness to interact with you, how the pup moves about the space, his energy level, and how he handles the excitement of meeting somebody new and the stress of being away from his siblings. Most breeders are OK with this and may even encourage it. They want to make the best match for their pups as well. Choosing to get a pup through a breeder may be more costly than adopting a rescue dog, but the price may be worth it to ensure your new friend has a healthy background, to feel you have someone standing beside you who knows the breed well, and to give you the peace of mind knowing where your pup started his life and what he experienced. Many of us want to be noble and save a life by adopting a rescue or shelter dog. And these dogs can be some of the sweetest beings, making the adoption experience one of the best things you ever decided to do with your life. And then there’s always the feeling of knowing that you saved a precious life, sometimes from euthanasia. What greater high is there than that?! But there are other things to consider when adopting a rescue dog too. How old is the dog and where did he spend the beginning of his life? Has he had one family or has he consistently been bounced around, and why? Many rescue dogs (particularly older ones) come with some “baggage” as a result of previous trauma. Just like a person who has been hurt in past relationships and must learn to trust and love again, a rescue dog may have been abused or neglected, left alone to die, spent a life on the streets scrounging for food, etc. – and he may need a person who is willing to provide him patience and support, and the understanding that he will never have to want for anything again and is no longer alone. Can a rescue dog be rehabilitated and built up to be a confident member of your family? Absolutely! But it may not be an easy transition, especially in the beginning, and it’s something you need to be prepared for. If you expect a perfect pup from the moment you bring your new addition home, you might want to rethink your decision about why you feel adopting a rescue dog is for you. Or any dog really. Maybe a hamster is a better choice? If you are leaning towards a rescue dog because it costs less to adopt than it does to get a dog from a breeder – beware. Even rescue dogs will cost a nominal adoption fee – and this important fee is used to keep the rescue organization alive and allowed to continue to save lives of other dogs who aren’t so fortunate. Many rescue groups also cover the first set of vaccines and a neuter/spay – which adds up. Your adoption fee covers these costs, and trust me – it would cost more than that fee if you were to cover these things on your own. Many veterinarians will give rescue groups a discount. And then of course there’s the vet care and other necessities you will need to provide for your new dog during its lifetime: regular vet check-ups and annual vaccines, coverage for any unplanned medical conditions, food, toys, bowls, leashes, and training. Rescue dogs don’t often go beyond basic medical testing before placement, nor do they have any pedigrees to check for medical history, so if you adopt a rescue dog it comes with the risk that later on down the road, your dog might develop an unexpected medical condition. Since these factors are unknown, the rescue organization will often not be responsible for a medical condition that develops 1 year or 5 years after you adopt your rescue dog – that responsibility will be on you. But it’s generally a good risk and responsibility to have if you get to give years of love to a special friend who warms your heart! While there are breed-specific rescue groups out there, many rescue dogs are mixed breeds, which means it may not be possible to accurately detect which breeds you are getting, or which traits the dog will take on from each of the breeds. DNA tests are possible but are costly, so most rescue organizations refrain from this added and generally unnecessary expense. Additionally, because most rescue dogs come with an unknown history, their behavior can be difficult to predict until you really get to know them. They might be on edge for a while, trying to figure out if they are safe and if they can trust you, so they might not be willing to open up right away and might keep their distance. Or if they had to scrounge for food, they might guard against any resources that they do get ahold of, which can result in growling or nipping if you get too close to them when they have their food or toys. Most rescue dogs don’t have a consistent upbringing before they find you, so they might question your leadership and try to do things their way. Or they may “act out” in your home by having accidents, chewing inappropriate items, acting crazy, etc. They are not meaning to be bad, but it’s a natural reaction to their anxiety and arousal for all the newfound stuff going on in their lives and the lack of direction they had until you. This is why TRAINING and BEHAVIOR CONSULTATION for a rescue dog is crucial in forming a long-lasting healthy relationship. And I don’t mean obedience training you do on your own accord; I mean contacting a professional in canine behavior who will know how to interpret your new friend’s idiosyncrasies. 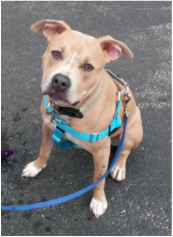 I have worked with many owners of rescue dogs that struggled initially but after some professional training help, the owners learned to understand their dog’s behavior and work accordingly to get the results that they wanted. And a happy and healthy relationship for all! Can disclose where their dogs are rescued from and how they are found/transported/etc. Include a deworming treatment, vaccines, and neuter/spay (or any combination of these) in the adoption fee. Keep in mind that different organizations will have different adoption fees based on the costs they incur to transport, provide vet care (like vaccines and neuter/spay services), and care for the dog before it gets to the point of adoption. These costs may vary based on geographic location and area demographics, size of their organization and quality/amount of services/follow up provided. All in all, taking on a rescue dog can be a positive and very rewarding experience if it’s done for the right reasons and in the right way! Whether you decide to shop or adopt, thank you for giving a pup a home and making him a part of your family. I wish you all the best in your future together! For help in selecting a dog that fits your lifestyle and the qualities you desire in a canine companion, please contact me at (845) 549-0896 or maria@mghcanineconsulting.com . I am not only here to give you this information, but to help you build a harmonious relationship with a new four-legged friend!